A weakening Indian rupee, which has been hitting fresh lows against the U.S. dollar in the past few months, likely boosted exports. Analysts polled by Reuters had expected growth to pick up, forecasting a reading of 52.8. 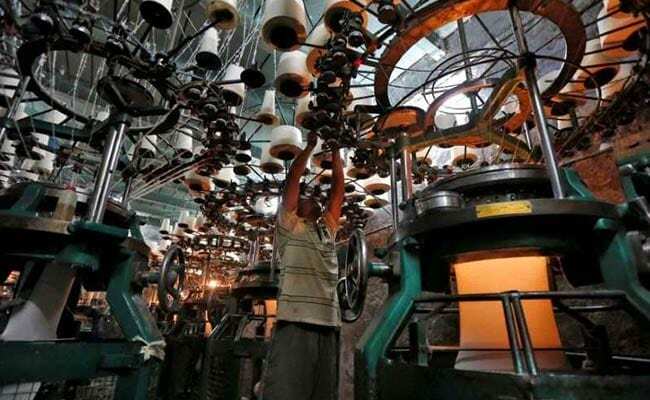 Growth in India's manufacturing sector unexpectedly slowed in August as domestic demand softened, a private business survey showed on Monday. Data on Friday showed India's economy expanded 8.2 percent in the April-June quarter, its fastest pace in more than two years, driven by solid growth in manufacturing and consumer spending. But the Nikkei Manufacturing Purchasing Managers' Index, compiled by IHS Markit, suggested a slight loss of momentum last month. The activity gauge fell to a three-month low of 51.7 from July's 52.3. Analysts polled by Reuters had expected growth to pick up, forecasting a reading of 52.8. Although sub-indices tracking output and total orders touched three-month lows last month, foreign demand rose at the quickest pace since February despite global trade tensions. "Indian manufacturers retained positive projections for output over the next 12 months, but the level of sentiment eased in August. Indeed, some of the key headwinds facing the economy include high global oil prices, monetary policy tightening, and capital outflows from emerging markets," IHS Markit economist Aashna Dodhia said in a statement.